Spending quality time with Mom. I’ve been a long time follower of Koei Tecmo and Omega Force’s Dynasty Warriors games, ever since Dynasty Warriors 3 came out way back when on the PlayStation 2. Over the years I’ve watched the series grow and evolve, spinning off into the Samurai Warriors series which is based on the Warring States era of Japan, rather than Dynasty Warriors’ Three Kingdoms era of China setting. I have fond childhood memories of pulling all-nighters over my former best friend’s house on weekends as we got through the various character stories of Samurai Warriors 2. To say that I’m a fan of this series would be an understatement. As odd as it may sound, both the Dynasty and Samurai Warriors series have a personal attachment for me. I’m saying this out of honesty, so that you know where I’m coming from as I write this. But I want to assure you that I will be judging this title on its own merits, and not dwell too much on personal anecdotes. 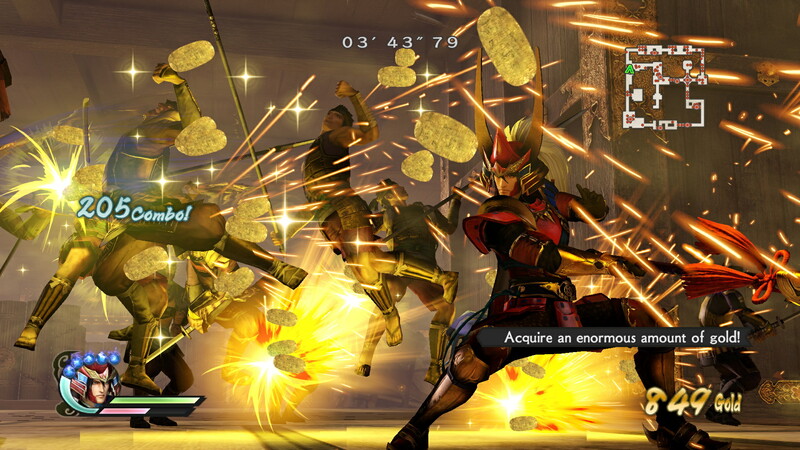 Samurai Warriors 4-II is a bit of an oddity. I can’t really call this a proper sequel, so much as it is a revision or expansion. It’s not quite what I’d call an “Xtreme Legends” addition, though. Not too long ago we got its predecessor, Samurai Warriors 4, on the PlayStation 4, and that game’s Story Mode tells the tales of all the clans involved, their conflicts with each other, their reasons for fighting, and so on. They’re romanticized portrayals of real samurai lords, ladies, and the vassals who followed them, focusing on their heroic (or villainous, in the case of men like Hisahide) exploits while downplaying or ignoring outright some of the atrocities and more negative acts that were committed in the name of war and unification of Japan. 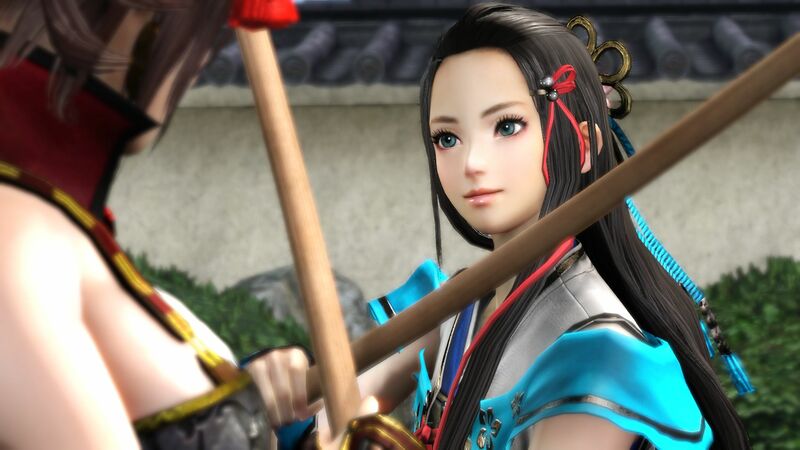 It’s the same with this game, but rather than entire samurai clans, Samurai Warriors 4-II chooses to focus on individual stories, particularly those of the playable newcomers to the series. Lady Hayakawa is not challenging Kai to a friendly game of Dakyu. To give you an example, let’s use Naomasa Ii, the poster boy for this game and Naotara Ii’s adopted son. In his story, he joins the Tokugawa clan, being taken in under Tadakatsu Honda’s wing. Naomasa claims he is doing what he believes is best for the Tokugawa, but his reckless tendency to strike out alone in battle with complete disregard for his fellow officers troubles Tadakatsu, who by the time Naomasa joins has survived the Battle of Mikatagahara, which nearly resulted in Ieyasu’s defeat and the loss of many of his men. Because of this, the two of them verbally clash in Naomasa’s personal story, while a worried Naotara watches and apologizes for his behavior. Midway through the story, Naomasa starts to change and accept that he can’t accomplish everything all on his own, and Tadakatsu subtly approves of his personal growth through the battles they have fought together, culminating in the final decisive clash between the Eastern and Western armies at the Battle of Sekigahara. The individual stories told in Samurai Warriors 4-II flow very similarly to those of the clans in the previous game. There are several stages for each officer, so none of the stories take more than a few hours to complete, but the maps themselves are large and full of chaotic action going on. You still bring two officers with you into battle, one being the character who represents the story you’re playing with, and the other is another officer of your choosing. Getting through all these stories unlocks hidden playable officers for you to use in Free Mode, and you’re encouraged to see them all through to the end. I love gooooold! Grab as much as you can in the Chamber of Riches Survival Mode. As for the actual battle gameplay, it’s pretty much the same as it was before, although combat has been tweaked somewhat. Now you can actually spend part of your Musou gauge to counter, parry and dodge officers’ attacks (even Musou attacks!) by pressing the appropriate button at the right time. In a tough spot, this can get almost as hectic as watching your typical Dragon Ball Z fight, but it’s another tool on top of your Fury mode and Musou attacks that helps you against overwhelming opposition. You’ll need to use both officers in tandem to accomplish all the objectives you’re given, often occurring at the same time on opposite sides of the map. Unfortunately, getting to the other side in a hurry is a problem when you’re trying to summon your horse and it spazzes wildly out of control while you run around and try to ride it. I’ve failed some objectives because I wasn’t able to stop officers from reaching a specific area or let the clock run out on a timed objective. In addition to Story and Free Mode, you have the Dojo, where you can read some biographical profile summaries on all the officers involved in these conflicts, which is cool if you’re a Japanese history buff, and thankfully they kept the ability to create your own officer to use in Free Mode and the brand new Survival Mode. Sadly, Chronicle Mode is missing, which was my favorite part of Samurai Warriors 4, but it’s understandable that they might not want to do an entire “choose your own samurai lifestyle” self-insertion fan fiction mode all over again. Survival Mode appears to be based on the first Samurai Warriors’ Survival Mode in which you go through a 100 floor castle, overcoming random challenges on each floor that the game throws at you, like defeating X amount of troops, rescuing allied officers, fighting ninja doubles to get to the real one, etc. The rewards for this mode are well worth it, as it can net you some very powerful elemental weapons you can combine together to make them stronger as well as Strategy Tomes you need to upgrade your characters’ passive and activated abilities. In Story Mode, I never felt like I had enough Strategy Tomes to make my officers stronger, but it’s in this mode that you can rack them up very quickly and make your officer a nigh-unstoppable force. I hope Gracia doesn’t plan to fight in that thing. 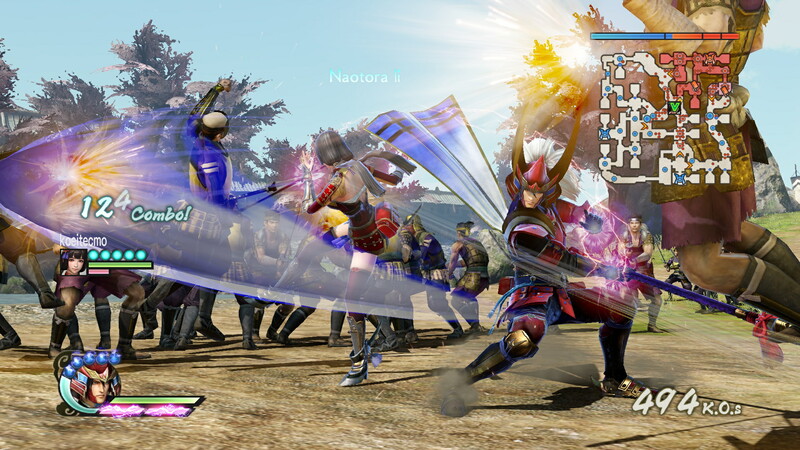 Samurai Warriors 4-II looks just as good as its predecessor did on the PlayStation 4. It runs very smoothly with only the slightest bit of slowdown during particularly hectic and graphically intense combat. There’s a lot of units that can be displayed at once on screen, so you’re almost always battling large crowds whenever you get into the thick of it. The music is pretty pleasant to listen to, but none of the tracks really stood out to me. It’s a highly energetic ambiance that’s clearly influenced by traditional Japanese music. I’d estimate it would take you over 35-40 hours to get through all the stories, and a while longer if you really want to build your characters up using Free and Survival Mode. 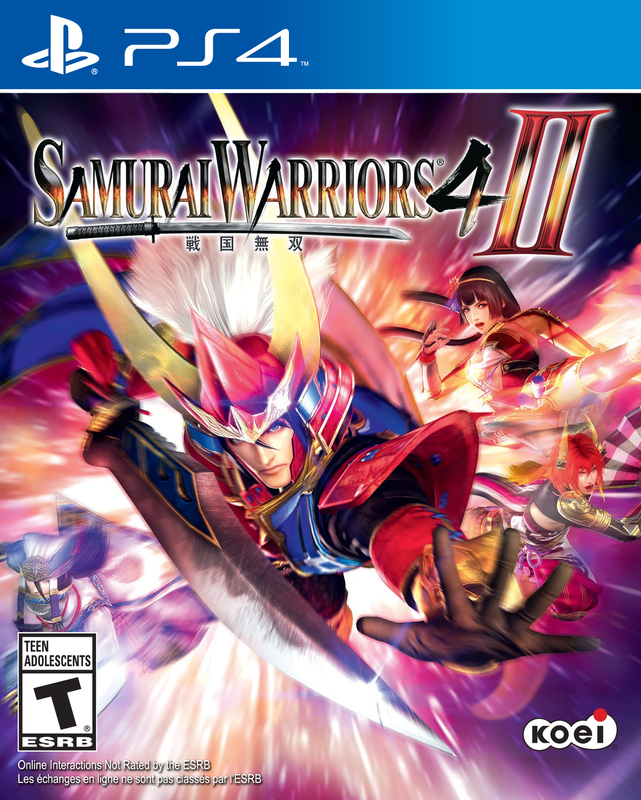 I believe the biggest question on people’s minds is whether this game is worth a second purchase if you already own Samurai Warriors 4. It’s tough to answer, but personally, I disliked the exclusion of Chronicle Mode and didn’t find Survival Mode to be as great of a replacement. If you’re a big fan of the series and Samurai Warriors 4 wasn’t enough to whet your appetite, I could see you wanting to go another round with your favorite characters, but for everyone else, it’s probably going to end up being one game or the other. I honestly don’t feel like you need to own both. It’s good enough for what it is, but let’s be real here: essentially it’s more of the same with some changes to how you strengthen your weapons and officers, that’s all. To be fair, I don’t think $49.99 is too bad a deal for it since you are getting a fair amount of content. To those of you on the fence, maybe it’s best to wait for a sale before going all in on this one.